Abstract: By fostering a direct engagement of those involved in solving problems or needs in a context of real situations, participatory action research (PAR) offers great potentialities for the academic training of future and even current professionals. However, there is a weak implementation of PAR as a pedagogical training strategy in higher education. Hence, this paper seeks to be a contribution to answering the following question: What potentialities and challenges can arise from the implementation of PAR in higher education' To this end, the following elements are addressed: what PAR consists of, and the contributions it can offer for higher education training, concluding with the presentation of some challenges and difficulties that seem to emerge from the use of PAR at the institutional, students and teachers’ levels, and which may help understanding its little use. Abstract: This purpose of this study was to analyze the terms illegal alien, illegal immigrant, and undocumented immigrant in order to determine if these legal synonyms exhibit pragmatic differences in actual practice found in American media. Studies have reported that differences in terminology, metaphor, and discourse framing largely serve to dehumanize or empower immigrants for partisan purposes in legal language (Johnson 1996), politics (Mehan 1997), and in the media (Santa Ana, 1999). Given the semantic presumption of criminality with the terms illegal alien and illegal immigrant, it can be argued that undocumented immigrant is used in more positive contexts in the media when compared with the terms illegal alien or illegal immigrant. In order to test this theory, the authors used the Corpus of Contemporary American English (COCA, 2016) to analyze the frequency, presumption of criminality in context, and different media outlets’ use of illegal alien, illegal immigrant, and undocumented immigrant. Results of this study found that the terms illegal immigrant and illegal alien have been used significantly more in American media than the term undocumented immigrant, although that trend appears to be shifting. While there was little difference in the presumption of criminality with illegal immigrant and undocumented immigrant, contexts using illegal alien assumed criminality twice as often as the other terms. Fox News and CNN used terms with illegal much more than any other group, although CNN has largely phased the terms out of use in recent years; NPR used the term undocumented immigrant significantly more than other media. Abstract: According to litterateurs, literature is the reflection of social picture and human life. In this sense, it can be expressed that Ecology, Society, and Life are deeply interconnected each other. With the passage of time, ecological and social life is dealt with literature through which happiness and sorrow, - laughter, sob, and complexity of human life get entangled in a single thread. In the justice of literature, the balance of woe is much more than that of weal in human life. Manik Bandopadhyay was a radical minded litterateur of his times. His treatment of human life and humanity for the poor of the poorest is purely and acutely presented in his literary genres. The core philosophy of human life makes the novelist a universal thinker and legendary figure for all ages. He has observed human life and literature as an essential part of environment. Keeping touch in contact with environment, each and every male and female character of the novelist has enabled to accept the reality of life. Manik’s globally well-reputed novel, Padma Nadir Majhi, is the glaring example of reality of human life. In the context of ecology, this novel is the embodiment of pessimistic attitudes of the middle class society and the subaltern of 20th-century riverine country, like Bangladesh. Kuber, Kopila, and Hossen Miah are the central characters of the whole realistic novel, who are the symbol of reality of life. Thus the writer has apparently presented the pitiable and miserable condition of the boatmen who live very near by the bank of the Mighty Padma. All boatmen have to rely upon the mercy of the Padma; sometimes the mighty river grasps and devours the lives of the poor communities when the tidal waves blow during the rainy season. The 20th-century novelist has unveiled the neglected, helpless, and, above all, the deprived communities of basic human demands as reflected in the novel, Padma Nadir Majhi. In the novel, Manik wants to emphasize upon the fact that nobody comes to write their history. ‘They have to sweat on the dust of the way all the day and night.’—The writer has drawn a grim image of weal and woe, - sniffles and sobs- and sorrow and happiness of the middle class downtrodden people of the age. In fact, he has focused upon the livelihood of boatmen as well as fishermen with his own sympathy and affection with a view to signifying his contemporary social system as well as life-structure of the poor. For life and livelihood, all boatmen have to endure all sorts of complexities of life through living in the darkness of ecology. They hardly hope to see the radiant future of life, because they are victim of environment and circumstance. As a social reformer and an observer of human life, Manik has enabled to find out the environmental perfect image of the boatmen to 21st-century audiences. For this purpose, this study would like to examine social picture, environmental crisis, and complexities of human life in the light of literary judgment. It aims to look at the origin of ecocriticism, the theoretical framework of ecocriticism made by very recent critics and scholars. There is a bond between environment and literature as briefly discussed in this study. It attempts to look at Manik as a social and environmental novelist. Finally, it would like to shed a new light upon 20th-century social picture and livelihood of boatmen and fishermen of the Mighty Padma. Abstract: Background: Medical education programmes aim at producing wholesome of competent and skilled graduates, research have shown that students experience stress which impacts on their health, academic performance and social functioning. This paper aims to determine the extent of academic stress, depression and anxiety among medical undergraduates and to explore the correlation between academic stressors, psychological stress and socio-demographic background among first year medical students at National University of Science and Technology.Method: This descriptive cross-sectional study was undertaken by first-year medical students in 2016 at NUST Division of Social Medical Sciences. A validated and standardised survey Depression Anxiety Stress Scale (DASS 42) questionnaire was used. Data was analysed by SPSS version 21.0.Results: Nineteen first-year midwifery students participated in the study. Males were 63.1% while females were 38.8%. Seventy-three per cent of the participants experienced stress during the programme, of which forty-nine percent were females. Female students showed severe stress of 6±1.15 as compared to their male counterparts who scored extremely severe stress of 3.81±1.53. Academic, health-related and psychosocial problems were the chief sources of stress.Conclusion: Stress impacts negatively on undergraduate students. Midwifery students need guidance, mentorship and educational integration support to identify and monitor their own well-being. These measures should promote a balance in selection of positive strategies to overcome stress, managing workload and time effectively during study period. Abstract: Revisiting analytically the notion of embeddedness and its connections with the concept of trust, this paper shows that contrary to Bitcoin’s premises and promises to be a trust-low or even trust-less currency, trust enters the system at many various levels and with different nuances. Applying a conceptual framework that conceives embeddedness as both the possible source and outcome of trust, it is pointed out that Bitcoin should better be regarded as doubly embedded: in technology and in its peculiar social structure. Due to the existence of computational and cognitive asymmetries within the system, in fact, trust is necessary for the very functioning of this new form of money, as well as for its future prospects. 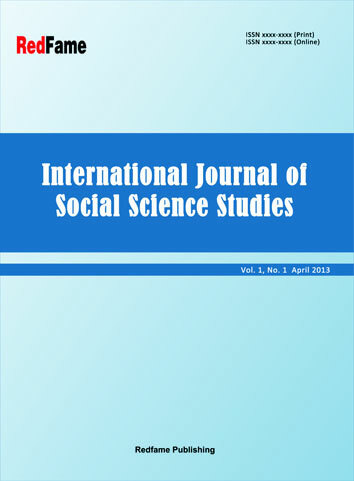 Abstract: This study used the 2013-2014 Zambia Demographic and Health Survey (ZDHS) data to examine, on one hand, the socio-demographic characteristics associated with intimate partner violence (IPV) and, on the other hand, the relationship between IPV and maternal health care (place of delivery and ANC visits) utilization. The findings indicate that women’s characteristics including marital status, household wealth, witnessing parental violence and attitudes justifying wife beating were significantly associated with reporting experience of IPV. Partner characteristics significantly associated with IPV were alcohol consumption and jealous behaviour. In this study, IPV was not found to be strongly associated with use of maternal health care. The study indicates that gender inequality and problematic cultural norms that privilege men with power over women still exist in Zambia, and thus IPV preventive strategies should incorporate means of toning down such norms to enhance the welfare of women. Abstract: The main objective of this paper is to assess the historical out line on the Dynamics of Conflict and Intervention in North -East Africa: The Case Study on the Second Ethio- Somalian (Ogaden) War of 1977-1978. Hence, the Ogaden war, a brief but costly war fought between Ethiopia and Somalia that ended by the defeat of Somalia and her withdrawal in January, 1978 was seen differently by different sides. Opposing foreign intervention in civil wars has also been a central phenomenon of international politics. The war was aggravated by outsiders for many years and in 1970s, above all by the superpowers, namely, the USA and USSR, and also by their contingents. At the heart of the issues underlying the War in the Horn of Africa lie three legacies of the past: namely; European colonial rule; Somali irredentism; and superpowers intervention/ Afyare Abdi Elmi and Abdullahi Barise; 2006:45/. This conflict can be viewed as a meaningless tragedy for the people of the Horn of Africa in general and Somalia in particular. I argue that competition for resources and power, repression by the military regime and the colonial legacy are the background causes of the conflict. Politicized clan identity, the availability of weapons and the presence of a large number of unemployed youth have exacerbated the problem. With regard to the obstacles to peace, we contend that Ethiopia’s hostile policy, the absence of major power interest, lack of resources and the warlords’ lack of interest in peace are the major factors that continue to haunt the Somali peace process. Finally, the study propose ambitious peace-building mechanisms that attempt to address the key areas of security, political governance, economic development and justice in order to build a durable peace in Somalia. Abstract: The essay investigates the representation of female subjectivity that is disturbed by issues of race, gender, and community in Toni Morrison’s novel, Sula. In my analysis, I bring to bear both the works of postmodernist theory and contemporary Feminist aesthetics in order to strengthen female subjectivity against the closed systems in which black women are objectified and separated from the autonomous existence they deserve. My representation of postmodernism is inspired by Linda Hucheon’s theory of Postmodernism in A Poetics of Postmodernism: History, Theory, Fiction. Her suggestion that postmodernism is a contradictory concept that simultaneously acknowledges and disregards any concept offers new possibilities; it blurs the lines that humans create between self/other and centered/decentered, undermining socially constructed notions of good and bad. As I closely examine the character of Sula, who embodies such postmodern concept, I attempt to rethink her position as marginalized and evil to think about her character as a quest to rise above the limitations resulting from the closed systems in which black women are objectified. In my conclusion, I suggest that Sula’s presence in the novel as radical on the surface is positive, for she transforms her otherness into a space from which female autonomy and liberty emerge. Throughout Sula, Morrison explores spaces of existence beyond constructed social conventions towards female individuality and Sula epitomizes that in her positive liberty.